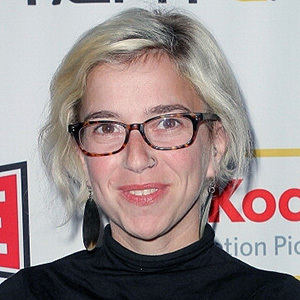 Yael Bridge is an award-winning filmmaker based out of Brooklyn. Her documentary Chicken and Zoe screened at many festivals including Big Sky and Slamdance, and won best short documentary at the Oregon Independent Film Festival. Reborning screened at Full Frame and DOC NYC, and won many awards including the Audience Award at Arizona International Film Festival. Yael worked on the acclaimed documentary feature She's Beautiful When She's Angry and Robinson Devor's film Powwow. She is co-producing the non-fiction feature film Left on Purpose, freelance editing, teaching film production, and making her own film on the Jewish diaspora in Cuba. Yael holds an M.F.A. from Stanford University in documentary film and video and an M.A. from the New School in Media Studies.